(517-432-2696) is a non-profit program provided by the College of Veterinary Medicine at Michigan State University http://cvm.msu.edu/. Established in 1994, students are trained in conjunction with a professional grief counselor to provide a nonjudgmental outlet for people to express their feelings and concerns. The hotline is staffed on Tuesdays, Wednesdays, and Thursdays from 6:30pm-9:30pm. However, callers can leave a message during off-times and someone will call them back during the hotline hours. 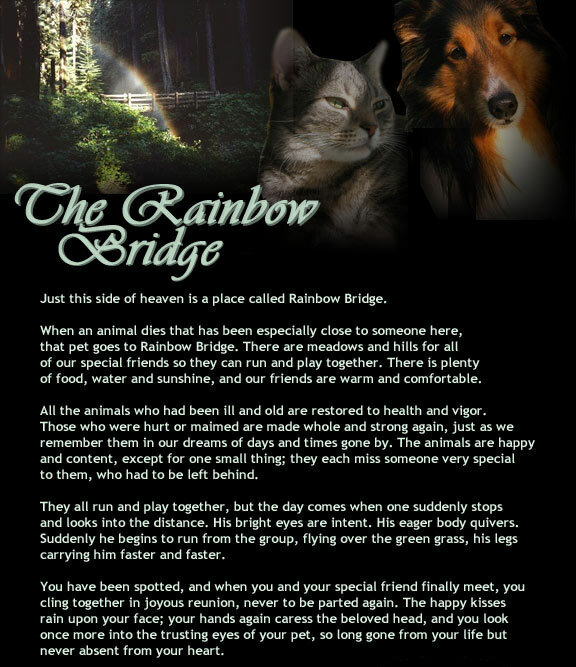 * Pet Loss Grief Support Website http://petloss.com/ : Includes a 24-hour chat room, message boards, a Monday night candle ceremony, and a lot of additional resources. http://network.bestfriends.org/groups/phs/default.aspx : A social networking site that offers support through forums, blogs, articles, as well as a Monday night candle ceremony. * Lightening Strike Pet Loss Support http://www.lightning-strike.com/ : Includes a pet loss forum and chat room, as well as a listing of additional resources. There are a handful of things that folks find troubling when we’re talking about dogs: weight issues, the fact that their dogs seem bored and that they are always focused on food. What’s interesting, is that it seems we’ve fostered this sort of behavior. Let me explain. In the wild, dogs had to hunt and search for food – they had to work for it. Nature gives them the instincts to do this, and it’s good for them. They spent their physical energy, mental energy and they typically ate what they needed. Everything was in sync. Now, a bowl of food is plopped down in front of them, they eat it, done. You get the picture. Fortunately, there is a way to address the three issues that I spoke about earlier. In a previous piece, I spoke about foraging toys for cats. The same concept can be applied when helping to give your dog a healthy attitude toward food while encouraging them to play more. A couple of toys in particular are great way to offer a stimulating way for all breeds and sizes of canine to “hunt” for their food, work at eating it – all while having a good time. The Premier company offers the Tug-a-Jug and the Kibble Nibble are great, inexpensive tools to help your dog use their natural skills and be at their mental and physical best. Because you can pre-measure the correct amount of food that your vet recommends for proper weight management, and extending the pleasurable experience of foraging for their food, it’s likely that your dog will attain a healthy weight – avoiding health problems associated with over-indulgence like diabetes and joint problems. Plus, you won’t feel like you’re depriving them of food! This, along with fresh air, exercise and fun activities with you, it’s possible to keep them around longer, and have more healthy years. Even better, the company has several treat and food dispensing toys in the Busy Buddy line that you might consider, to keep your pooch happy. Lorrie Shaw is owner of Professional Pet Sitting as well as a regular pets contributor on AnnArbor.com. She also blogs frequently on More Than Four Walls, and enjoys researching solutions regarding pet wellness and behavior, as well as social issues related to pets. She can be reached via e-mail. Antibacterial Properties of Dog Saliva: Fact or Fiction? I’ve been asking myself if it’s really true that dog saliva has antibacterial properties and, if so, why aren’t the components of the saliva being used to make new drugs? Apparently I’m not the only person to ask that. If you look online you see all kinds of forums where someone is wondering the same thing. The question has been the topic of science fair experiments and even the occasional study in more sophisticated research labs. In 1975, Heddle and Rowley found that secretory immunoglobin A (IgA) antibodies, found in dog saliva, had limited antibacteria properties, particularly against the bacterium Vibrio cholerae, that could be used to fight infection in living mice. In 1990, a team from the University of Davis, California reported, in an article in Physiology and Behavior, that limited antibacterial properties in dog saliva, against E. coli and Streptococcus canis, and theorized that mother dogs could prevent infection in their pups by licking the mammary and genital areas. However, a search of the current literature using PubMed actually reveals more reports of infection and illness after letting dogs lick wounds, than any evidence of benefiting from the practice. Hart and Powell. 1990. Antibacterial properties of saliva: Role in maternal periparturient grooming and in licking wounds. Physiology and Behavior, 48(3):383-386. doi:10.1016/0031-9384(90)90332-X. Heddle and Rowley, 1975. 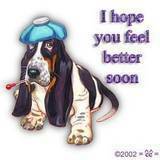 Dog immunoglobins. II. The antibacterial properties of dog IgA, IgM and IgG antibodies to Vibrio Cholerae. Immunology 29(1):197-208. Kennel cough is infectious tracheobronchitis and presents itself as a very distinct “goose honk” cough. This cough is caused by bacteria called Bordetella bronchiseptica and is extremely contagious. Kennel cough is usually contracted in boarding kennels, shelters, dog parks, and grooming facilities. The best way to keep your dog from contracting kennel cough is to make sure your dog is current on the vaccine for Bordetella. Also, whenever you are selecting a boarding facility, make sure they require every dog to be vaccinated. A facility with lax vaccination requirements is more likely to pass along kennel cough and other diseases to the dogs who board there. Whenever you select a groomer, make sure they also have vaccination requirements and do not let the dogs mingle communally. When dogs contract kennel cough, they usually will not show signs until three to four days after exposure. However, they can transmit the disease up to 14 weeks post-exposure. The good news is kennel cough is very easy to treat and responds well to antibiotics. If you have acquired a dog that is diagnosed with kennel cough be sure to notify your veterinarian if you have other dogs at home. This way all dogs can be treated at the same time so they do not pass it back and forth. This column is written by Dr. Paula Tyler, DVM, of Benson Animal Hospital. 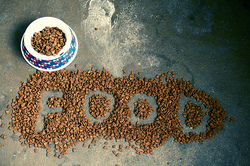 If you have a question about a pet, send it to PetTalk, San Pedro Valley News-Sun, 200 S. Ocotillo Ave., Benson, 85602. Crufts will be assessing the health of 15 high profile breeds of dogs at the Birmingham NEC in 2012 before handing out any awards, the Kennel Club announced. The move aims to improve health in pedigree dogs and protect the sport of dog showing, which have both come under prolonged scrutiny in the wake of a BBC documentary which claimed dogs bred for shows were suffering a high degree of genetic illness. The Kennel Club, which runs Crufts, said all Best in Breed winners at the world famous dog show in 2012 and at all the club’s championship shows after that will need a clean bill of health from the event’s vet before their award is confirmed and they are allowed to continue to compete in the final. And any dog which becomes a champion – for which it needs three wins at championship shows – will also need to undergo a successful veterinary examination. The 15 high profile breeds to which the rules will apply include basset hounds, bulldogs, German shepherds, mastiffs, pugs and Chinese crested dogs, which have been chosen because of concerns the breeds can suffer from health issues. Vets will be looking for clinical signs of pain or discomfort such as breathing difficulties when taking moderate exercise, skin disorders, damage to the eyes and lameness. A new blog is promising dog owners help in finding solutions to their dog’s barking problems. In an easy to follow writing style www.mytrainingdogtips.com/stop-dog-barking is experiencing great success with people who visit the blog for advice on solving their dog’s barking problems. For many dog owners, stopping their dog’s excessive barking at an early stage is important to prevent it becoming a habit, and is often the difference between having a pet that is at peace with the neighbors and one that is the source of anger due to the excessive amount of noise coming from it. Amongst some of the information visitors will read about on the blog they will find, when will a dog bark, how to determine if barking is justified and things they can do to control this behavior. In this ground-breaking blog, dog owners will finally learn techniques that dog trainers have used to stop unnecessary barking. The end result is their neighbors will no longer complaint of excessive noise, and their dog will only bark when there is a need to such as alerting them to danger. The blog will not just coach them in the right methods to use, but will provide easy to follow educational material that is targeted at non experts. Problems in multi-dog households often occur when owners are ineffective leaders and attempt to manage their dogs by treating them like human children. Kathi and Karen have four dogs: Bella, a 1-year-old dachshund/chihuahua mix; a 10-year-old fox terrier/papillion mix; and a 4-year-old chihuahua/papillion mix. Everything was fine until about five months ago when they brought home Penny, a basset/dachshund rescue, who is now about 9 months old. It is not unusual for rescues to be resource guarders. With no challenge from the two older dogs, Bella assumed leadership in the pack dynamic. With Penny’s arrival and approaching maturity, that dynamic has changed. Dogs do not understand the concepts of sharing, equality, or time-outs and confident and self-assured dogs do not use aggressive displays to maintain their position. Because Bella has no rules or boundaries for her behavior and is acting out of insecurity, she sees the younger female’s attempts to gain access to the bed and proximity to the owners, which are high value resources, as a threat and punishes her aggressively. Putting Bella in another room when this happens does nothing to solve the problem or teach her that the behavior is unacceptable, and depending on Penny’s personality, the time may come when she no longer backs down from Bella’s attacks. Dogs will get injured and people will be bitten. * Both Bella and Penny should receive basic obedience training, which should be practiced in the home environment, and specifically taught to “leave it” or turn away in any situation on the owner’s command. * Any posturing must be corrected immediately. * The dogs should be fed in crates or in different areas. * Both dogs should be blocked from getting on furniture with the owners until obedience is proficient at which time they can be invited up in turn while the one on the floor holds a stay position. * Leashes should be used initially to correct any disobedience as collar grabbing will often redirect aggressive behavior toward the owner. * During the training period, each dog must be taught to hold position while being praised or while attention is given to another. * Finally, the owners must understand that Bella’s problems started with her insecure personality, and all the love in the world is not going to turn her around without consistent rules and boundaries to give her confidence and parameters for her behavior.